Metro-North Rider Captures Stuck Door On Video While Train Is In Route.. – Darnell TheNewsMan!! 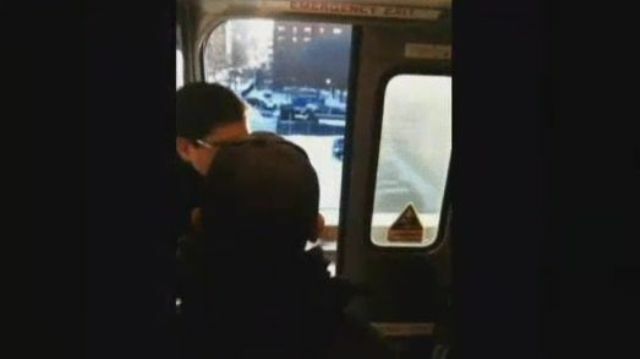 Metro-North Rider Captures Stuck Door On Video While Train Is In Route.. The Metropolitan Transportation Authority is investigating what it calls “a very concerning video” of a moving Metro-North train with a door stuck open. Jeremy Grimes, the rider who shot the video, tells NY1 the door did not close after the Grand Central-bound train left the Harlem 125th Street Station. Grimes says a passenger told a conductor, but the conductor did not come to check out the situation. The door remained open for several minutes until a passenger was able to force it closed. You can see the video for yourself…..SMH!!! Step up Your Health and Take the Stairs!! !